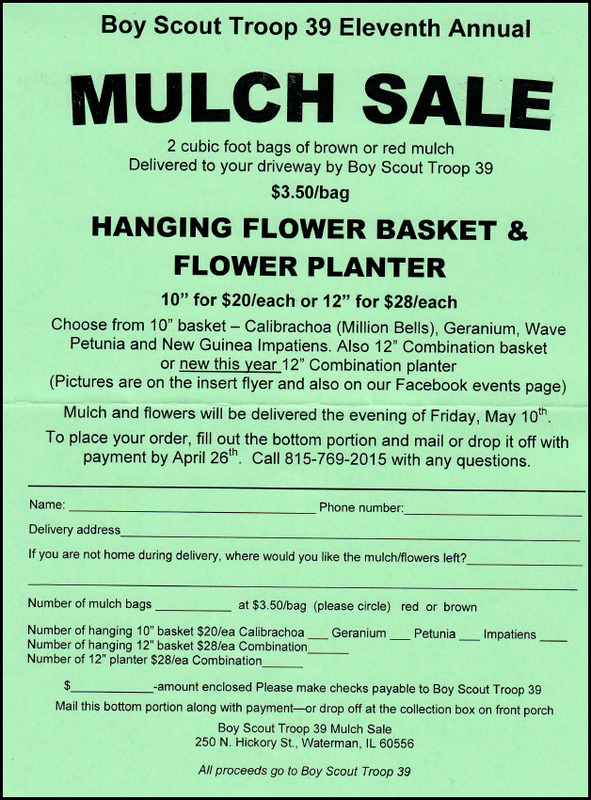 Boy Scout Troop 39 Mulch and Flower Sales has begun! Orders are due with payment by April 26th. If you have any questions, call 815-769-2015. 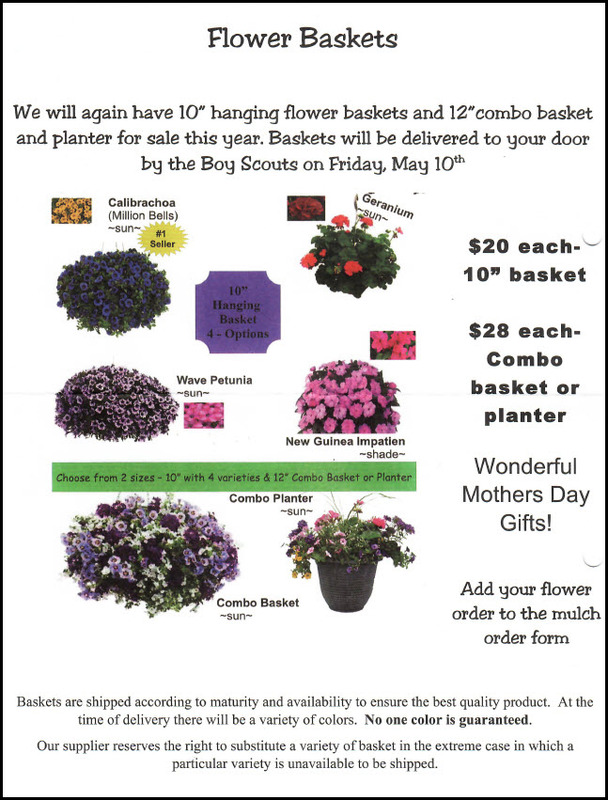 ALL PROCEEDS FROM THE MULCH AND FLOWER BASKET SALES GO TO BOY SCOUT TROOP 39! Find an order form under downloads on our website. Click here to view your annual water quality report. This report contains important information about the source and quality of your drinking water during 2017. The report will not be mailed. For a paper copy, call (815) 264-3652.